The Suzanne Wright Foundation Premieres Film "THE PATIENTS ARE WAITING: How HARPA Will Change Lives Now"
NEW YORK, May 23, 2018 /PRNewswire-USNewswire/ -- Tuesday evening, The Suzanne Wright Foundation premiered its film, THE PATIENTS ARE WAITING: How HARPA Will Change Lives Now, at the Museum of Arts and Design, in New York City. Bob Wright, Founder of The Suzanne Wright Foundation, with guest host Maria Bartiromo, Anchor and Global Markets Editor, FOX Business Network – FOX News Channel, debuted the film as part of the Foundation's national campaign to establish HARPA, a Health Advanced Research Projects Agency. HARPA would be an autonomous federal agency, that works within a broad public/private ecosystem, to develop transformational capabilities for our most urgent medical challenges that have not benefitted from the current federal scientific research model. HARPA is inspired by DARPA, the agency within the Department of Defense that developed leading technologies including the internet, GPS and voice recognition. DARPA is the gold standard for innovation and the DARPA model does not exist for health research within the federal government. Like DARPA, HARPA would make high impact investments, and be built on accountability, and delivering results. The evening began with a screening of the thirty-minute film, which explores the potential of HARPA, a bold new approach to delivering medical breakthroughs. Those interviewed - scientists, doctors, private sector leaders, policymakers and patients - have different stories, but share a goal: leveraging federal and private research assets and resources to develop therapies, treatments and cures for the millions of Americans with deadly and debilitating conditions who have seen no progress. Research is not getting to patients fast enough. Following the film, Maria Bartiromo led a discussion with Bob Wright, Dr. Geoffrey Ling, Dr. Herbert Pardes and Dr. Karen Reeves, about the challenges in their respective fields and the opportunities for innovation that HARPA would create. Dr. Pardes recognized the merits of HARPA as an addition to the research being done at the National Institutes of Health (NIH), saying, "I would like to see more in the way of translation of the basic science that we understand into clinically utilizable interventions… The NIH does a marvelous job. That doesn't mean they're perfect. So why not marry NIH's talents and assets to the private sector assets and then invite people who have good ideas to come in, so you can move the process." In response to a question about why HARPA needs to be an autonomous agency within Health and Human Services (HHS), Dr. Ling said, "HARPA should stand up on its own. One thing that the Department of Defense learned back in 1958 when DARPA was established was, it was a brand-new model. It was revolutionary. So, if you want someone to do something revolutionary, you have to create a revolutionary apparatus for it. It can't be built within the same old structure." There is currently no government entity that singularly focuses on the rapid translation of research into patient-care capabilities. HARPA would work synergistically across the biomedical research ecosystem, and would not compete with nor duplicate other federal efforts. Bob Wright, former Vice Chairman of General Electric, Chairman of NBCUniversal, and Co-founder of Autism Speaks, founded The Suzanne Wright Foundation in honor of his wife Suzanne, who died from pancreatic cancer. During her lifetime, Suzanne championed the most vulnerable among us. After her diagnosis, she made it her mission to fight pancreatic cancer with that same determination. The CodePurple initiative advocates for a new approach to federal research built on accountability and results. Pancreatic cancer has the highest mortality rate of all major cancers. Ninety-one percent of patients die, most within the first year of diagnosis. There are no early detection tests and no curative treatments. The Suzanne Wright Foundation and its CodePurple initiative honor Suzanne's legacy as a fighter and advocate for the underserved. The Suzanne Wright Foundation advocates for HARPA, a Health Advanced Research Projects Agency, to lead the development of new capabilities in biomedical research. Pancreatic cancer is one example of the limitations of the current system to address deadly diseases with urgency. Despite decades of medical innovation, millions of Americans with fatal and debilitating conditions have seen no progress. The current path from basic science to applied research to commercial viability is too slow. Research is not getting to patients fast enough. 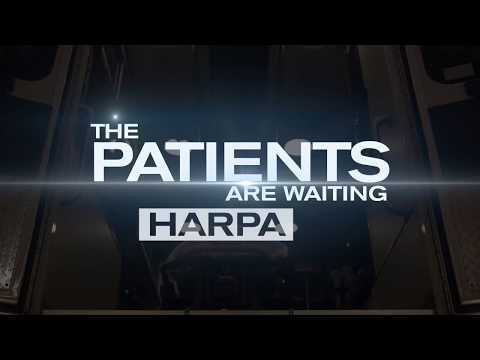 Modeled after DARPA, the Defense Advanced Research Projects Agency, HARPA would leverage existing taxpayer-funded research assets, and the technologies of the private sector, to drive medical breakthroughs for diseases that have not benefited from the current system. DARPA was established within the Department of Defense in 1958, to develop national security capabilities. Since then, DARPA has developed transformational technologies including the Internet, GPS navigation, stealth technology, voice recognition and robotic prostheses. HARPA would employ DARPA's mission-oriented approach with aggressive timetables to drive medical breakthroughs.